Minnesota Twins is a professional baseball club located in the area of Minneapolis, Minnesota. The Minnesota Twins Baseball Club offers videos, score board, stats, schedule, target field, fans, training, roster, news to its fans through its website online. The club has won three World Series titles, six AL Pennants, six Central Division titles, and four West Division titles. The Minnesota Twins was founded in Kansas City as Kansas City Blues in the year 1894, and was known as Washington Nationals or Washington Senators till 1960. 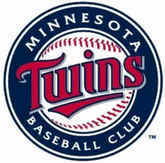 The Minnesota Twins Baseball Club was then established in the year 1961. There are currently 0 consumer reviews about Minnesota Twins Baseball Club available. Share your review. Please take a note that you are about to post a public review about Minnesota Twins Baseball Club corporate office on CorporateOffice.com. This review will be public, so please do not post any of your personal information on this website. If you would like to contact the corporate offices of Minnesota Twins Baseball Club, please use their contact information such as their phone number, website, and address listed above to contact them. However, sometimes staff from Minnesota Twins Baseball Club headquarters do read the reviews on this website.